PST File Reader software allow users to easily read PST file items like: emails, calendars, tasks, notes, journals, etc. This Viewer provides a unique option to users, to view any type of corrupted PST file. Without MS Outlook environment, a user can view PST file content. PST Opener provide users with an exclusive option to preview their valuable emails along with attachments. Once the software loads all PST items, it will show the number of items present in each folder and generate an item preview with all properties. 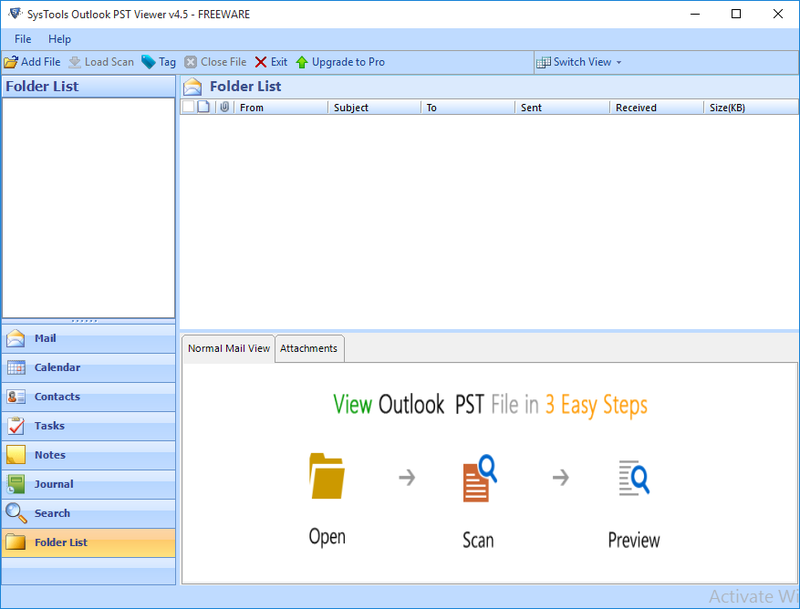 PST File Viewer software provides two scanning modes i.e Quick Scan and Advance Scan. Advance scan feature provides detailed analysis report of PST file. These scanning options helps the user to repair the damaged or corrupted PST file. PST file explorer helps users to read multiple PST files simultaneously. No file size limitation i.e Easily scan & view PST file having any size. Facility to read PST file which is password protected. Generates preview of Outlook PST Contacts & Distribution list. 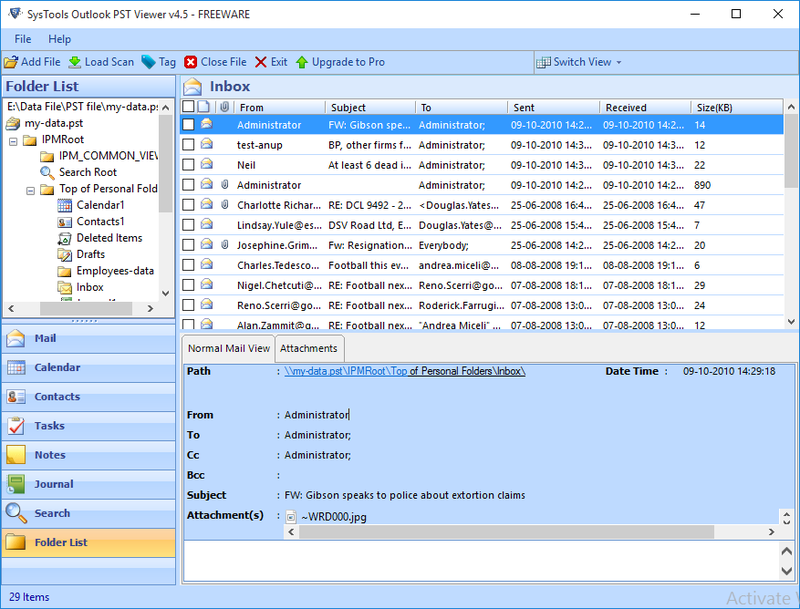 PST File Viewer provides exclusive Meta Data Preview. PST Opener easily recover corrupt or damaged Outlook PST file. No MS Outlook installation is required to view PST files. Read and Open .bak file of Scanpst.exe without MS Outlook installation. How can I read PST file without Outlook? Is it possible to view corrupted file with the help of PST File Opener? Yes, PST file Reader will allows you to easily view normal as well as the corrupted file. 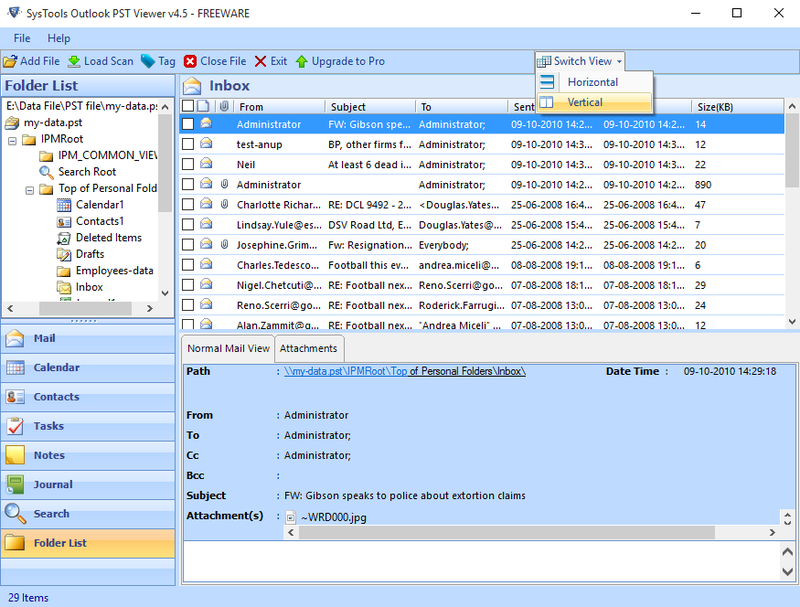 Will Outlook PST File viewer tool helps me to view password protected PST file ? Of course, by using PST file extractor you can easily open and read the contents of password protected PST file in a short span of time. Is it possible to view PST file of 5 GB size by PST browser ? 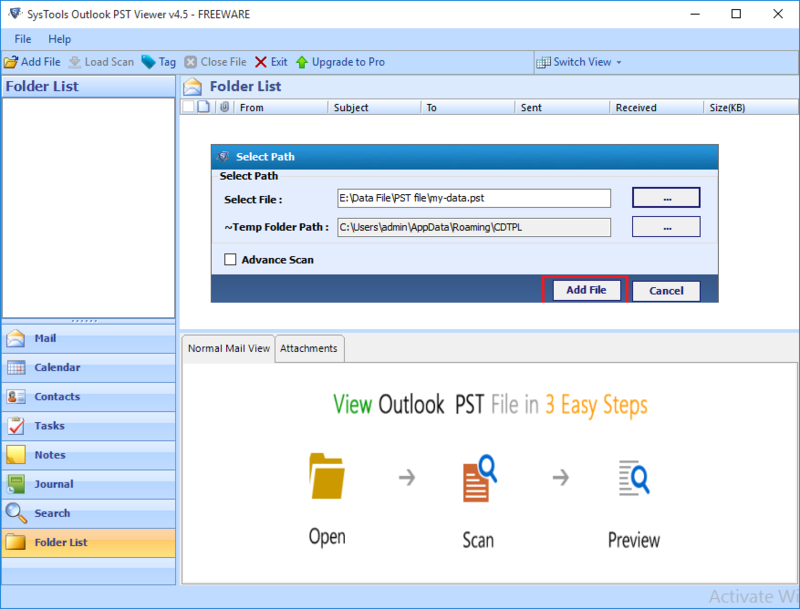 Yes, Outlook PST Viewer tool is an exclusive tool with no file size limitations i.e you can easily view PST file of any size by using this tool. Can I use Outlook PST File Viewer on Mac ? No, PST Opener is completely a Windows based utility i.e you can run it only on windows platform it does not support Mac machines. Does PST viewer tool is free of cost or chargeable ? PST File Opener is totally free of cost tool to read PST file i.e you doesn’t require to pay for using it. “I was searching for a tool which could help me to view corrupted PST files. One of my friend suggested me to use PST file viewer. This utility allows me to read Outlook PST files without the installation of Microsoft Outlook."